In a shock announcement by Nico Rosberg today, the newly crowned world champion has decided that he is retiring from the sport, with immediate effect. 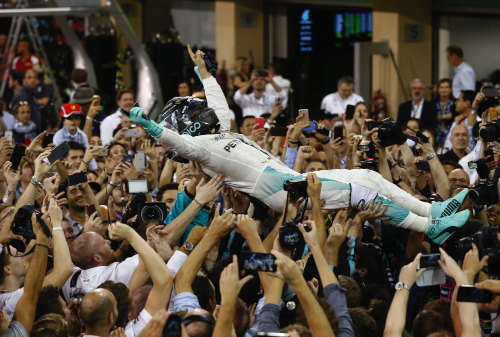 Rosberg said, ‘Since 25 years in racing, it has been my dream, my ‘‰¤one thing‘ to become Formula One World Champion. Through the hard work, the pain, the sacrifices, this has been my target. And now I‘ve made it. I have climbed my mountain, I am on the peak, so this feels right. My strongest emotion right now is deep gratitude to everybody who supported me to make that dream happen. This season, I tell you, it was so damn tough. I pushed like crazy in every area after the disappointments of the last two years; they fuelled my motivation to levels I had never experienced before. And of course that had an impact on the ones I love, too ‘ it was a whole family effort of sacrifice, putting everything behind our target. I cannot find enough words to thank my wife Vivian; she has been incredible. She understood that this year was the big one, our opportunity to do it, and created the space for me to get full recovery between every race, looking after our daughter each night, taking over when things got tough and putting ourchampionship first. When I won the race in Suzuka, from the moment when the destiny of the title was in my own hands, the big pressure started and I began to think about ending my racing career if I became World Champion. On Sunday morning in Abu Dhabi, I knew that it could be my last race and that feeling cleared my head before the start. I wanted to enjoy every part of the experience, knowing it might be the last time‘‚ and then the lights went out and I had the most intense 55 laps of my life. I took my decision on Monday evening. After reflecting for a day, the first people I told were Vivian and Georg Nolte, from my management team, followed by Toto. The only thing that makes this decision in any way difficult for me is because I am putting my racing family into a tough situation. But Toto understood. He knew straight away that I was completely convinced and that reassured me. My proudest achievement in racing will always be to have won the world championship with this incredible team of people,the Silver Arrows. FRANCE SET FOR 2018 F1 CALENDAR RETURN?